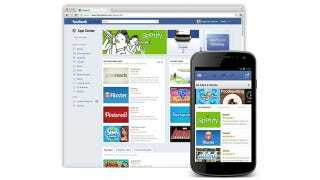 Report: Facebook App Center Opening This Week? Business Insider is reporting that Facebook's App Center—the social network's take on the App Store—is launching as soon as this week, in a bid to encourage developers to continue working on software specifically for the Big Blue. Citing a source "briefed by Facebook on the service", Business Insider explains that the App Center is "launching in the coming days". Facebook announced it had plans to roll out the App Center in early May, so it's certainly conceivable that it's almost ready for public consumption.